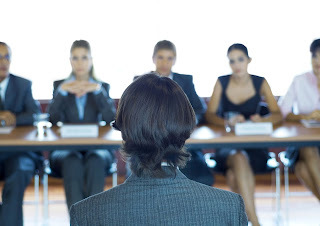 Have you ever come across personal questions at a job interview? If you’ve answered “yes”, you are certainly not alone. A lot of candidates often struggle to find a proper answer when it comes to their family and personal life. It’s not surprising since such questions often infringe upon your privacy and may well undermine your career achievements if your answer is not carefully thought over. The questions may vary, covering topics like gender, marital or family status, relationships, kids or dependent persons. Despite being illegal in most countries, personal questions are still considered an integral part of job interviews by some employees. Let’s try to figure out what intentions lie behind personal questions at job interviews and what you can do to be fully prepared for them. What lies behind personal questions? Personal or family-related questions are often meant to learn more about the candidate. The problem is that many employers abuse this opportunity in order to discriminate against the applicant based on his or her family or personal life. For instance, many employers refrain from hiring young women in their twenties, since they may soon ask for a parental leave. However, there are more reasons behind those questions. If the question arises in the middle of an interview, it may be used to catch you unalert. This way an employer may try to understand if you are adaptable to handle unusual situations and problems appearing during work. 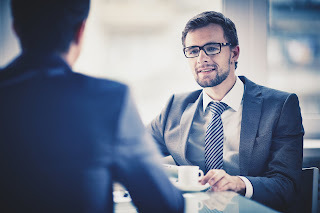 Thus, if you start hesitating or stumble over words, an interviewer might infer that you are not that good at crisis management or worse – that you are not flexible enough. Another possible reason for the question is to see if you have people dependent on you. Candidates who do, seem more preferred for the employer since they will be more committed to the job and are unlikely to look for a change of working conditions very frequently. Moreover, during salary negotiations, such employees will be at a disadvantage as they need the job in the first place. How to prepare for family-related questions? The thing is it’s not advisable to refuse to answer personal questions completely, since it may result in a failed interview. Meanwhile, if you write down a list of questions that may be asked during the interview and try to find the most appropriate way to answer them, you won’t be caught off guard. So as not to be completely unprepared, there are a number of tips to consider before answering questions about your family or personal life. Say that you are always committed to your job regardless of what happens in your personal life. Highlight that you always keep personal and professional aspects of your life separate so that they don’t impact one another. Add a bit of extra insight into your way of living. Say that you’ve always been able to organize your day carefully. You can even mention writing daily schedule as your advantage. This will show the employer that you are a level-headed person that can manage both aspects of your life successfully. If the employer asks about kids or marital status, you can respond with an answer highlighting your professional achievements at the previous position, regardless of your family life. Say that you have never been asked such a question and that you're wondering why the matter is important for the employer. This way, you will learn more about what matters to the company and what the overall working environment looks like. Because I doubt that you will want to work in the conditions, where professional qualifications are secondary to the personal lives of the employees. If you feel that the question is inappropriate, don't answer it from the very beginning, since it may give an employer an unreasonable insight into your personal life. Too much information about your personal life always puts you at a disadvantage. Moreover, your potential boss can then use it to discriminate you or to restrict your future promotion opportunities. Even though the question about your personal life is inappropriate at least, you have to brace yourself so as not to fire up. You don't have to disclose all your cards, but do it a diplomatic way. Often enough, such personal or family-related questions are asked to assess your ability to act in stressful or unexpected situations. Thus, an aggressive response may tell the employer that you're emotionally unstable and won’t be able to stay cool in the emergency. Instead, if you don't want to answer the question, state your position friendly but firmly. Actually, you can turn things over and find out more about your potential employer’s policies by observing the reaction to your answer whatever it is. If the interviewers pay too much attention to the subject, you may conclude that the company is overly obsessed with its employees’ personal life, which clearly is a bad signal. At the same time, if the employer adds that the company has certain guidelines by which no discrimination is allowed, you will see that there's nothing to worry about. In any case, you’ll know that by the time you are hired, so you will be able to make a sounder decision, whether the company is the right one for you. Personal questions are something every candidate tries to avoid. However, very often, they’re a common part of an interview that you cannot just skip. If you come across a personal or family-related question during it, there’s nothing to be afraid of if you have spent some time on preparation prior to the interview. To stay confident in the event of an unwanted question, be sure to write down thought-over answers before the interview. Moreover, keep calm and polite so as not to seem ill-bred. Using the tips above, you can find the most appropriate way to respond to personal questions and even use them to emphasize your professional qualities and personality traits.